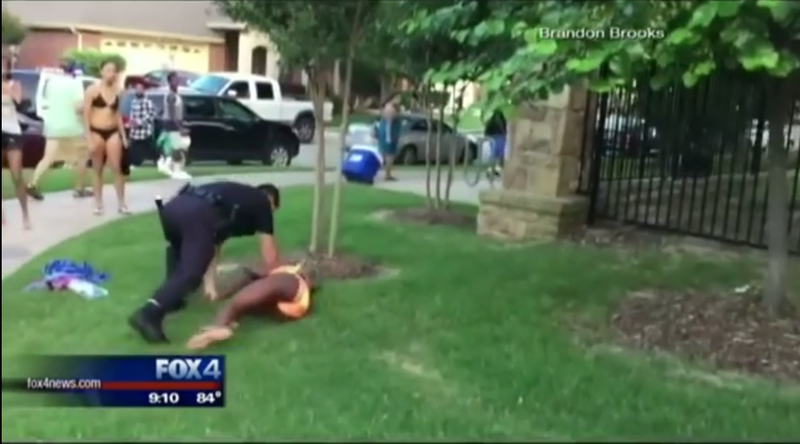 After a viral video of police brutalizing black teenagers in swimsuits in Texas sparked national outrage, a second video has surfaced of a party host detailing a violent encounter before the cops arrived at the scene. According to 19-year-old community member Tatiana, who put together the event to celebrate the end of the school year, several white people at the pool hurled racial slurs at her friends, calling one a “black f-er” and talking about Section 8 public housing. When 14-year-old friend Grace Stone stood up for the group, saying the comments were racist, the man and woman started berating her. Tatiana alleges she stepped in to tell the white couple that they shouldn’t verbally attack a young girl, at which point they told her to “go back to [her] Section 8 home.” One woman, identified as Kate, allegedly slapped Tatiana in the face, before attacking the teenager with the help of another woman. Having seen the original video on YouTube, Tom Fuentes, a former assistant director for the FBI told CNN that the officer’s actions were unjustified, and that the main officer was “running around and escalating” the situation. “He’s out of control. He clearly has no self-discipline. He lost control of his temper. Nothing good can happen at that point. Thankfully he didn’t shoot somebody,” he concluded. Read More White Woman Used Racial Slurs, Slapped Her, Texas Pool Party Host Says | ThinkProgress.